LinkedIn announced a new targeting option that will allow businesses to target users based on their professional interests, this week. This feature is called “Interest Targeting” and is located in the LinkedIn’s Campaign Manager. Currently, it’s only available to a handful of advertisers for testing purposes, but the company is planning to roll out this feature to all advertisers next week. With Interest Targeting, advertisers can create targeted ads based on over 200 professional interest and topics. What’s interesting about this feature is rather than going off of content available on the user's profile (i.e. professional experience, group memberships, professional skills listed) like traditional targeting does, it’s based on the content they’ve shared and engaged with on the platform. How is this different from current targeting options? Website Retargeting: Target users who have visited your website in a specific amount of time. Contact Targeting: Target ads to specific users by uploading an email list or by connecting to your contact database. Account Targeting: Used for ABM campaigns, target ads by professional demographics, like company names & job titles. These three can be powerful on their own for creating hyper-targeted ads - but, LinkedIn noted in their announcement that the Interest Targeting feature can be used alongside these to strengthen their effectiveness. For example, Interest Targeting and Account Targeting can be used together to reach an audience that is already showing interest in something your product or service offers, or a pain point it can solve for. This will help advertisers do more than just get in front of the right people it will allow them to get in front of them when they’re more likely to be ready to take the next step. 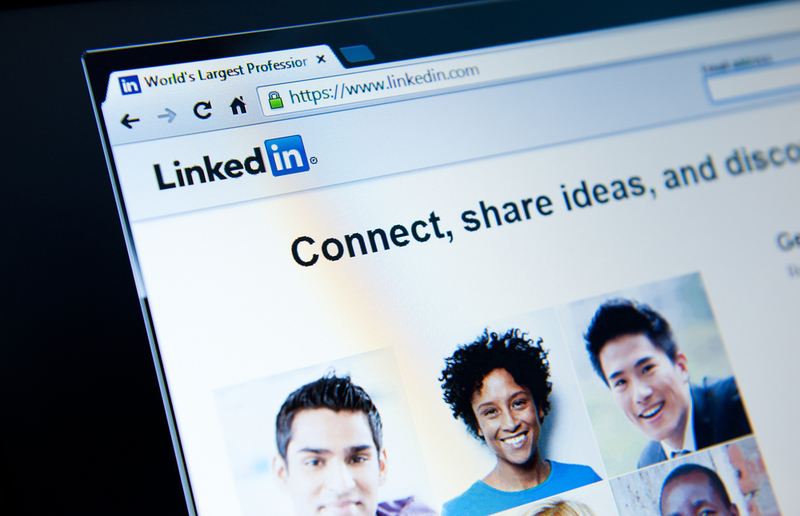 Let’s face it: While we all spend time perfecting our social media profiles, especially LinkedIn, it’s not necessarily a completely accurate depiction of us. We can be members of groups were not necessarily active in, we could have changed career paths or listed interests or skills that might no longer be relevant. For that reason, advertisers may end up spending money on targeted ads that might appear to be a match for a particular user, but might not actually be the case. Interest Targeting combats this issue because it’s based on how the user actually behaves on the platform - so your ads are much more likely to spark interest and enable you to create more relevant effective advertisements. Based on the beta testing they did with this tool, it’s clear that the feature is accomplishing these goals for businesses. In fact, Marketing Land reported that companies with early access to Interest Targeting saw a 25% increase in click-through rates in campaigns when using the new feature. Interest Targeting will be available to all LinkedIn Advertisers starting the week of January 28th. For more information about the types of topics you can target, or any other questions about the tool, you can visit LinkedIn’s Help Center.